and interaction among the user, program and computer. 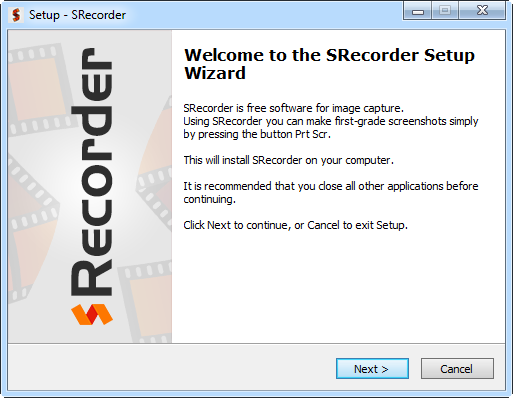 SRecorder is free screen capture software. You need to download the installation file that can be found on the program official site to install SRecorder on your PC. Type or copy the link SRecorder.com to the browser URL bar, click Enter and the next moment you will see the main page of SRecorder. After the site has been completely loaded, you will see the button – Download Now. Left-click it and you will be offered to download the installation file on your PC or laptop. In order to install SRecorder, run the installation file downloaded from the official site in advanced. Welcome to the SRecorder Setup Wizard. You are recommended to shut down all the processes on your PC for the most successful installation. Click Next to start the installation. Please, read carefully Terms and Conditions and License Agreement. If you accept all the items, click Next to continue the installation. This provides quick launch of SRecorder at any time you need it. As you have selected the necessary items, click Next. The installation doesn’t take much time. 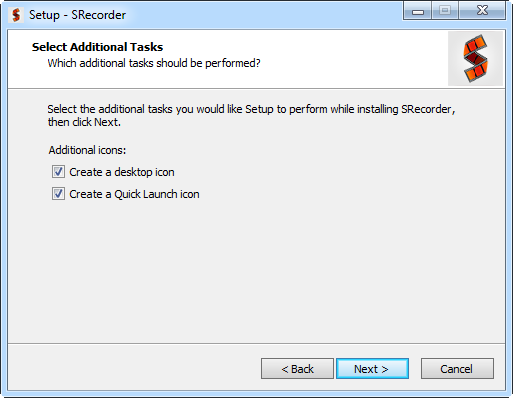 When the SRecorder installation is done, the program automatically runs and you can start capturing and recording your PC screen. Congratulations! You have successfully installed SRecorder on your PC! On this page you will find the detailed information about all the aspects of work with SRecorder so the program will be clear for you. SRecorder is automatically added to the Autorun list and will be launched when Windows is starting up. However, if you have removed the program from the Autorun list, you will have to launch it manually. 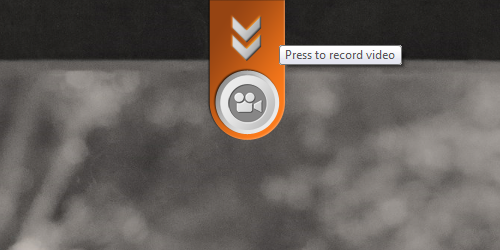 You can see the SRecorder icons on the desktop and on the Quick Launch panel. 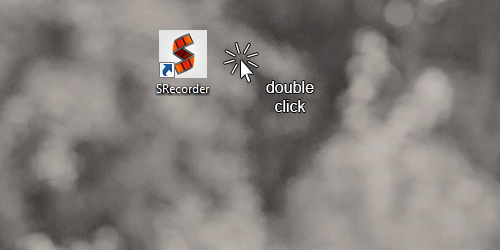 Double-click the SRecorder icon. At the top part of the screen you can see the SRecorder Quick Launch button. You can change its position by dragging it to any convenient place on the screen. The tray also contains the SRecorder icon that gives access to the main menu. Left-click the SRecorder button. You will see the message Select the area on the screen. 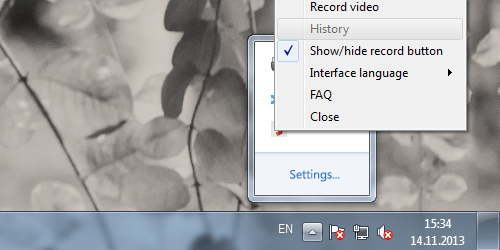 Click and hold your left mouse-button to select the area to record. When the area is marked with the dotted line, release the button. 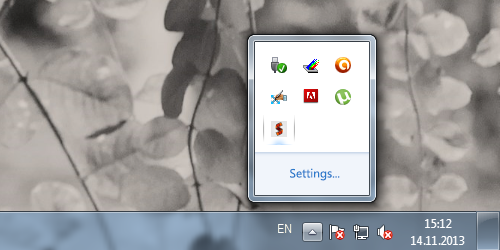 Right-click the SRecorder icon in the tray. Select Record video in the main menu. Select the area on the screen as it was described before and release the mouse button. Before you start recording video, you need to make some configurations. 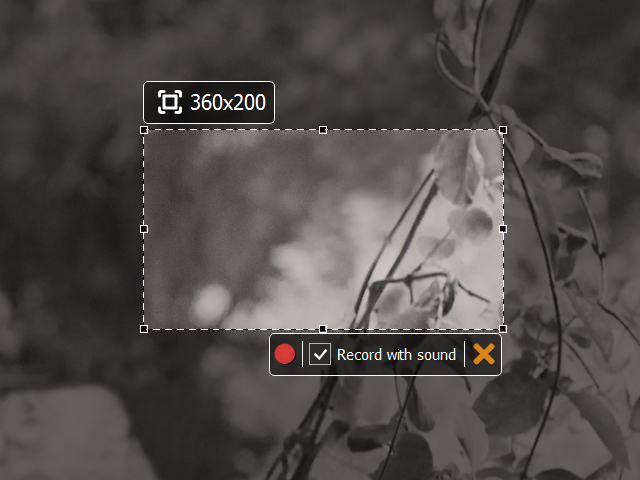 If you want to record a video with sound (voice notes), mark the checkbox Record with sound. If you don’t need it, then uncheck this box. 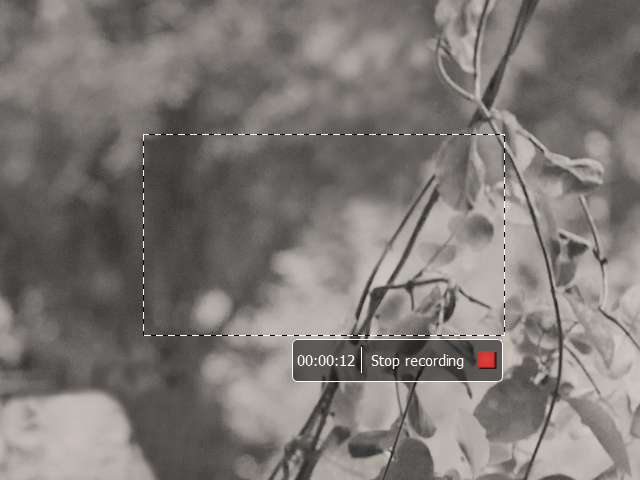 If you want to stop recording process, click the button Close marked with “Х”. The recording process has begun. At the lower right corner you can see a timer that shows you the record duration. Click Stop recording to finish the process. 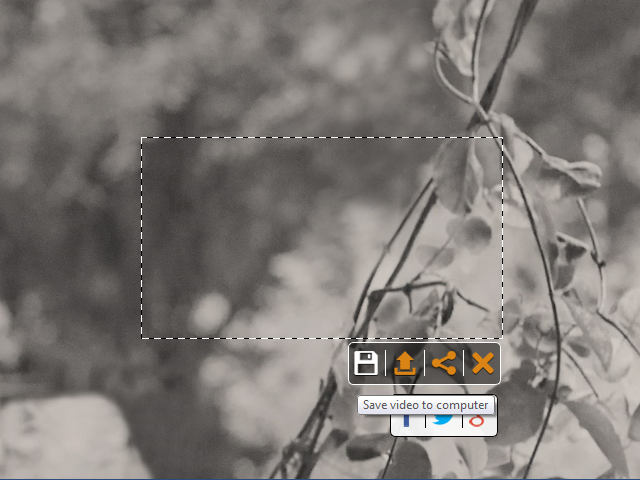 Click the button Save video to computer on the SRecorder control panel to save the recorded video. On default the video is saved to the folder Documents — Downloads. You can always change the destination path. The video saved in .МР4 format can be played on any media player which supports this format. You can convert files using additional converters. 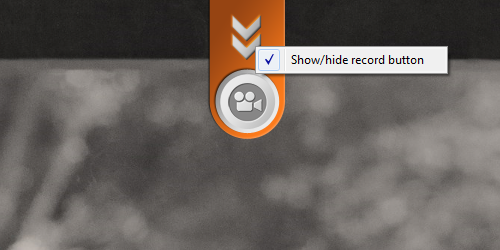 SRecorder offers wide options so you can show the screen records to other users. You can perform all the tasks in the browser or via any messenger. Upload a video to our server to get its link. So, when the record is finished, click Upload video to server on the program control panel. The link will be copied to the clipboard and you can easily send it to other users using any messenger. Post links to your video files in Facebook, Twitter and Google+. And you don’t need to open your browser to do this. Just click Share on the control panel and select a resource to post your link. In order to see the history of the video you saved on the server using SRecorder, right-click the tray icon and select History. You can easily find the record you need by the date and time of its creation. In order to show/hide the SRecorder record button, right-click it and select the necessary task. This option is available in the main menu. SRecorder is available in English, Portuguese and Spanish. 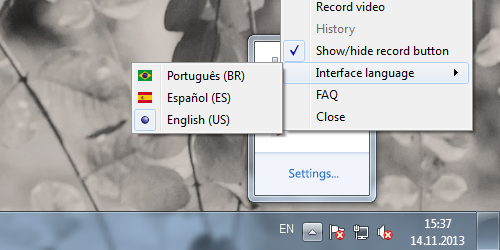 In order to select the necessary interface language, go to the main menu and click Interface language. Now you can select the desired language. In order to shut down the program gracefully, click Close in the main menu. If you have questions about SRecorder, please, go to the page SRecorder FAQ. Open the main menu and click FAQ to visit the web-page. Now, as you have read the SRecorder manual, you can use the program in the most efficient way. Install SRecorder on office or home computer to facilitate a lot of important tasks. We are very sorry you have chosen to uninstall SRecorder. After the uninstallation process is finished, you arerecommended to restart your computer.